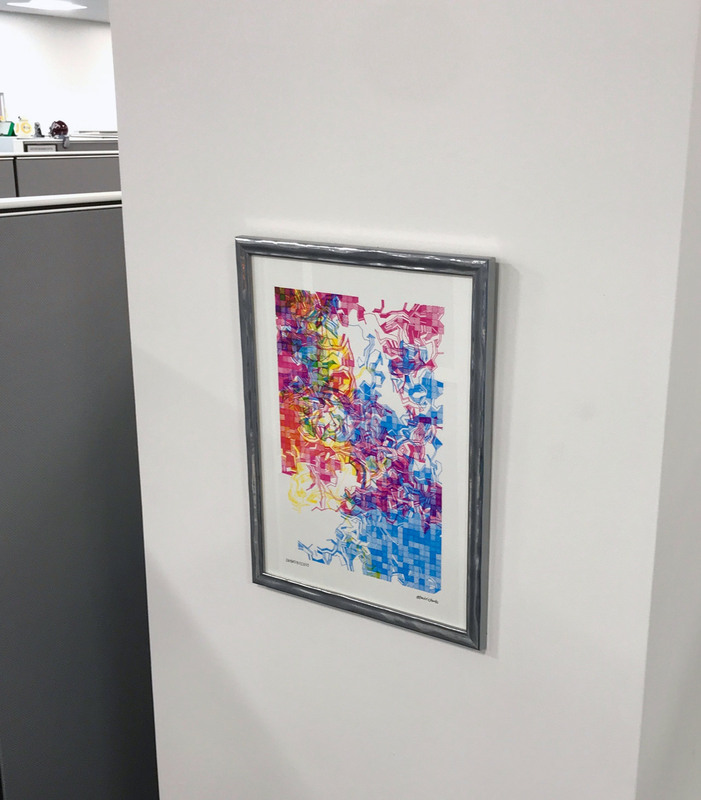 Just a quick post to share a recent addition to my office (full disclosure: it’s a cubicle) at my workplace in Washington D.C., a framed plotter print — artwork created by Paul Rickards. For quite a while now I’ve been enjoying Paul’s photos and videos of vintage color plotters laying fractal-like designs to paper, driven by his own custom scripts. (Regular readers will know Paul from his brilliant work in creating the WiFi232 Internet Modem.) His plotter art speaks strongly to me, striking a lovely balance between the vintage and a future aesthetic. Paul has made a number of these plots available for sale on his website and last month I purchased one and had it properly framed. It’s quite a conversation piece and is a most lovely work of art, to my eye. This entry was posted in Just Rambling and tagged drawing, fractal, graphics, HP, ink, pens, plotter, printer, printout, vector. Bookmark the permalink.